Two things have been on my to-do list for some time. 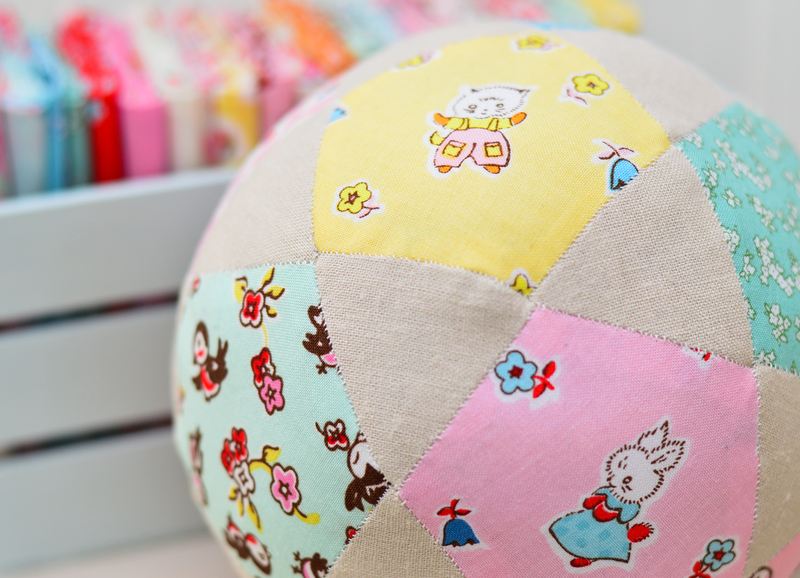 A patchwork ball and a mini quilt with Madeleine’s initial “M”. It just so happens that the milk, sugar & flower fabric was the perfect line for both of these projects. 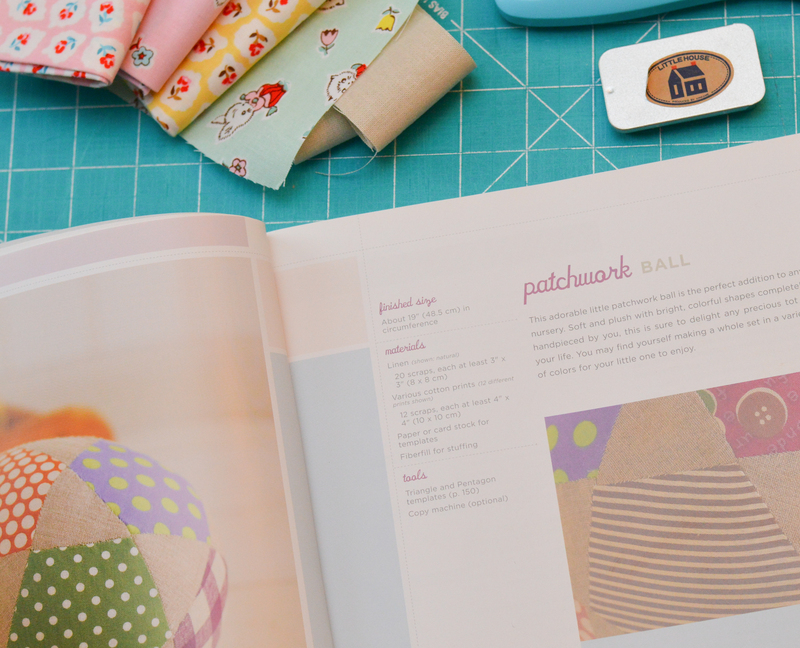 There are a couple of versions of the patchwork ball out there, but my favorite one is from Rashida Coleman-Hale’s book I Love Patchwork: 21 Irresistible Zakka Projects to Sew. 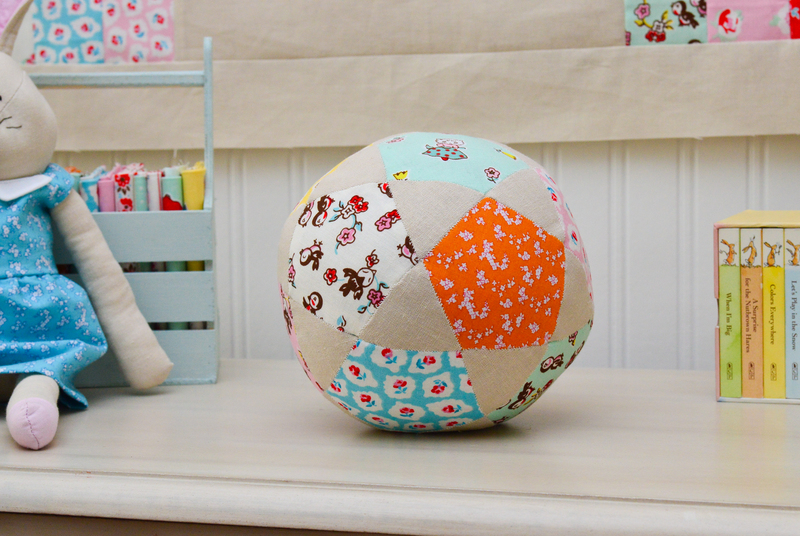 The ball is paper pieced and hand sewn together with pentagons and triangles. I think that the linen triangles add a perfect balance to the fun and bright colors and just really make them pop! The mini quilt ended up a little larger than the mini I had in mind, but I’m absolutely loving it. I haven’t quite decided whether I am going to hand quilt or machine quilt it yet. But for now it’s going to hang and look pretty until I decide. P.S. Did you see that Madeleine’s bunny also got a new dress to match all this milk, sugar and flower goodness? That is the sweetest mini!! The quilt is beautiful! And the ball looks so fun! Beautiful ball! 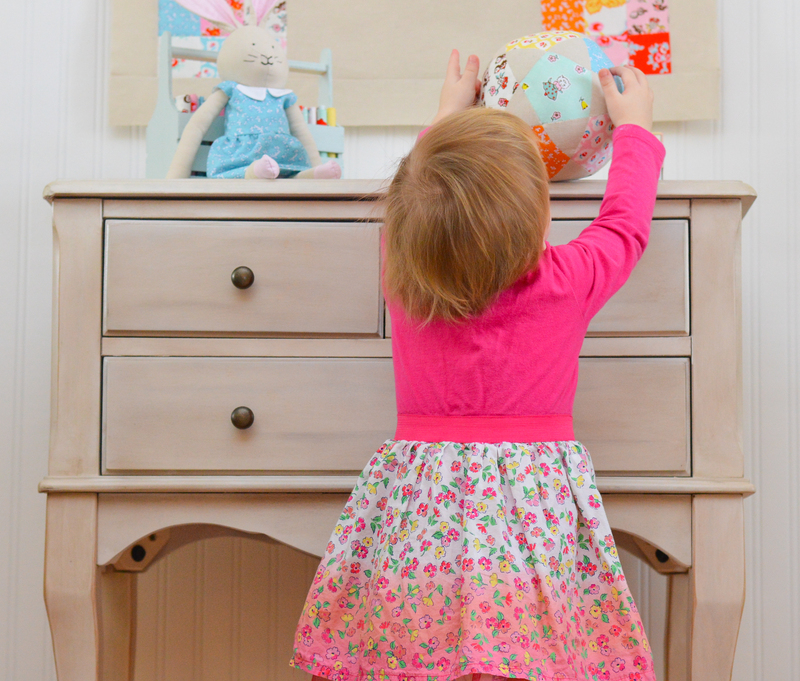 The linen and cotton gives the ball different textures to explore too! 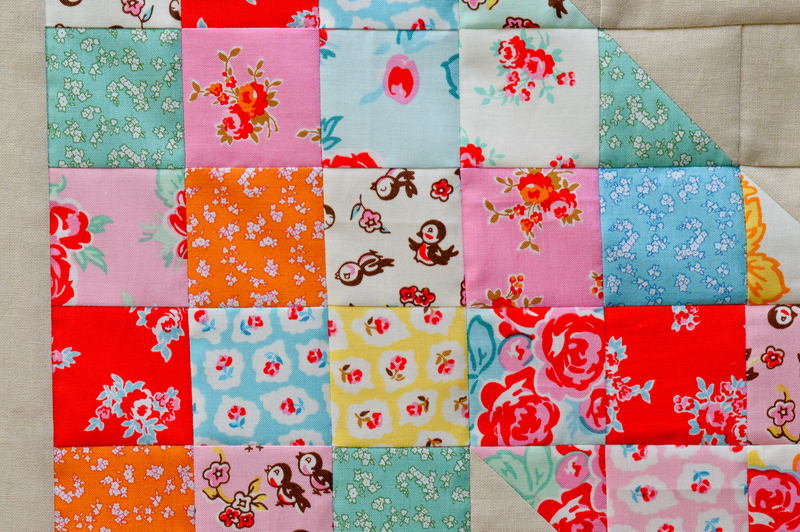 Love the quilt too! 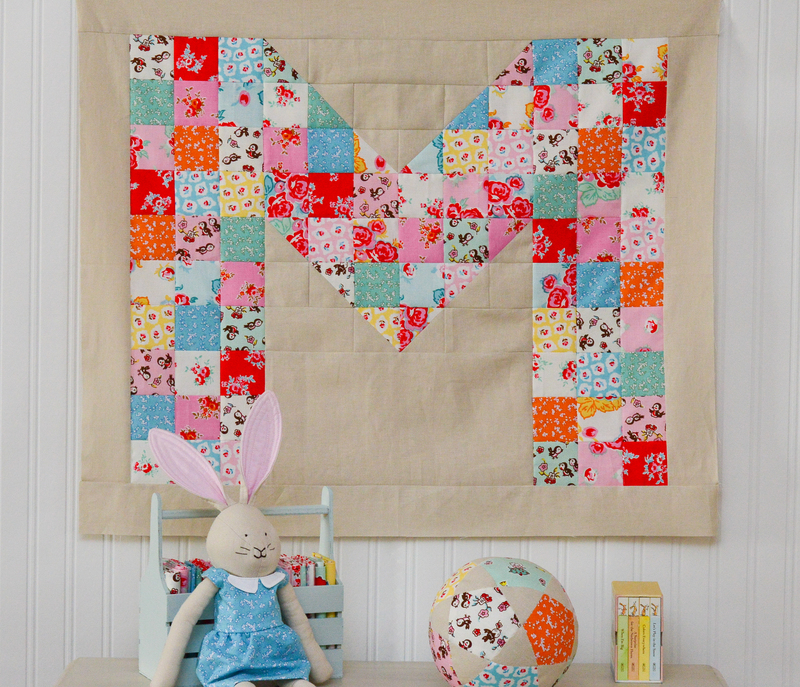 I love the M quilt! What a fun idea- now I want to make them for my daughters…as pillow covers!